Bipolar Man © 2014 Sam Fleming . All Rights Reserved. Greenwolf © 2014 Sam Fleming . All Rights Reserved. 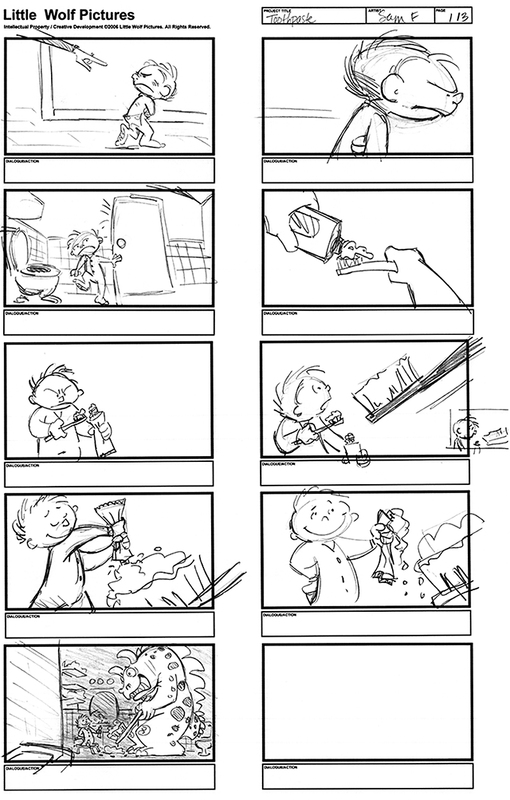 A Dog's Life, Basic Cast - In Development - By Sam Fleming, © 2014 Sam Fleming . All Rights Reserved. MAD LIFEGUARD - Designed for a SpongeBob Squarepants Game. HERMIT CRAB - Designed for a SpongeBob Squarepants Game. MS. DEE © 2014 Sam Fleming. All Rights Reserved. LIGHTS OUT, LARRY! Full Design & Animation Production for Chuck E. Cheese Entertainment. JUNGLE ANIMALS © 2014 Sam Fleming. All Rights Reserved. JOHNNY G. LIPSCUM © 2014 Sam Fleming. All Rights Reserved. GOAT & CATER © 2014 Sam Fleming. All Rights Reserved. DRAGON CONCEPT © 2014 Sam Fleming. All Rights Reserved. CRITTERS © 2014 Sam Fleming. All Rights Reserved. RAVEN Concept © 2014 Sam Fleming. All Rights Reserved. MEAN WOLF © 2014 Sam Fleming. All Rights Reserved. CONDUCTOR © 2014 Sam Fleming. All Rights Reserved. BEAR © 2014 Sam Fleming. All Rights Reserved. ASCENCION © 2014 Sam Fleming. All Rights Reserved. Stylized Trees © 2014 Sam Fleming. All Rights Reserved. Crow's Nest © 2014 Sam Fleming. All Rights Reserved. Cypress Bayou © 2014 Sam Fleming. All Rights Reserved. Chair and Ball © 2014 Sam Fleming. All Rights Reserved. Staircase © 2014 Sam Fleming. All Rights Reserved. Western Metal © 2014 Sam Fleming. All Rights Reserved. 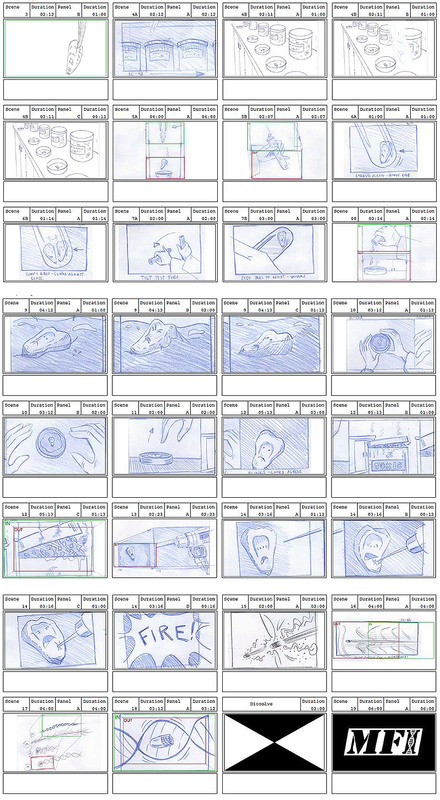 Below are a few sample storyboards, primarly drawn with pencil and paper. 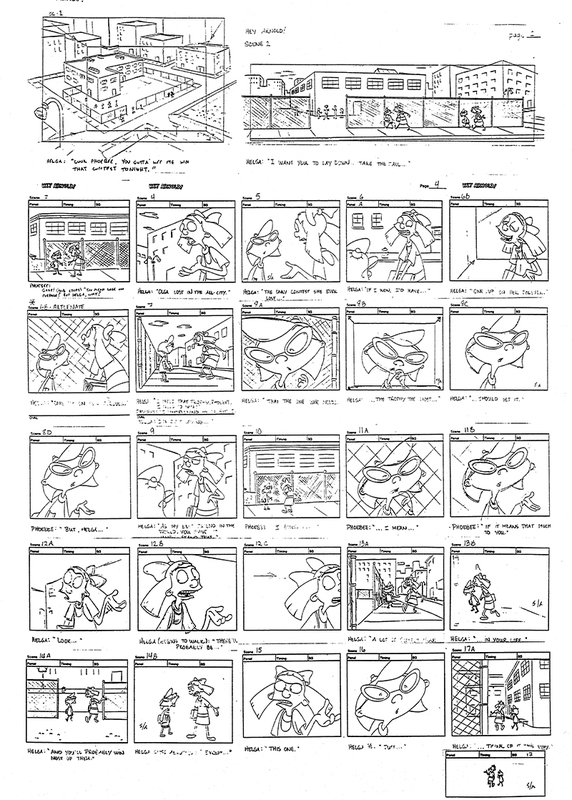 I've been using Toon Boom Storyboard Pro, however,for about 2 years - I enjoy the all the nifty timesaving tools that program allows - plus, it does a great job with Animatics. Super Cool © Sam Fleming 2014. All Rights Reserved. Jump Rope © Sam Fleming 2014. All Rights Reserved. Abominable Dance © Sam Fleming 2014. All Rights Reserved. Aside from the Indie project page, I have developed smaller ideas like the one below. I'm really excited about seeing this one animated! Garlic Gopher © 2014 Sam Fleming. All Rights Reserved. A sample from a "Hey Arnold!" episode for Nickelodeon. This is a board for one of the many Pilots that I've been asked to produce. I worked with Eaglemont/Tryptych/PostModern, respectively, for about 3 months, delivering a fully-animated, live-action/animation concept piece. In addition to this, Eaglemont had me re-design the main characters for the Adventures of Riley, animated version. Another silly "What If?" idea. What better way to encourage a kid to brush his teeth? Toothpaste © 2014 Sam Fleming. All Rights Reserved. This short-subject piece was produced as the INTRO for an Indie feature film called Sustenance. While not naming the company directly, the feature is about the shady practices of the Monsanto empire, through cellular manipulation of seeds. Though the main character, a kernal of corn, is very simple, the real challenge was to create a situation, whereby the audience has empathy for that single kernal of corn. In the final, animated version, we were able to do this convincingly.